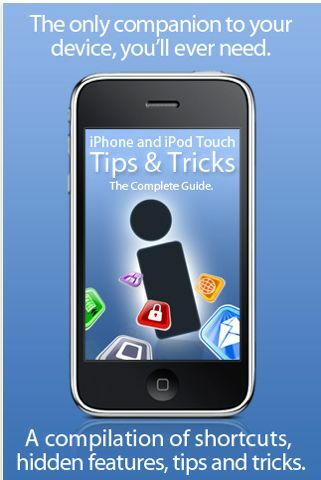 You can now get for yourself the complete guide for your iPhone at the App store. In this new entire iPhone guide app series, a team of experts from Apple, who have figured out everything that there is to know about the ins & outs of an iPhone, give to you the only friend you will ever need to fully understand your device. You can navigate easily through your iPhone like you never could before. You will discover shortcuts, iPhone tips on making the maximum use of your battery, hidden features, data security, faster internet browsing and a lot more. You will become an expert user of the iPhone before you know it. There are six different categories of the different iPhone tricks and tips that you could make use of. This is a whole lot of information that is right under your fingertips covering each and every detail of your phone that you would ever want to know about. It does not matter whether you are new to the iPhone or are a seasoned pro, you will definitely find something in that guide which would help you increase your ability with the iPhone. This iPhone guide is smart, easy and simple. The interface is well thought of and clean which ensures that you can browse through the entire guide with speed and efficiency. You can flip through pages like a book. You will easily be able to find exactly what you are looking for. There are also a few additions to this iPhone Tips and Tricks application that may influence you to get the updates. There is improved stability with the usage of the application and there are a few corrections in the graphics department that would make your experience all the more better.